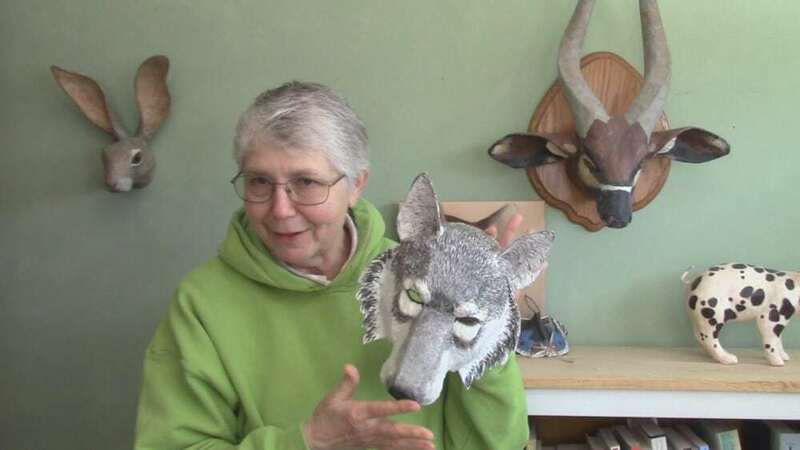 I’ve been busy the last few weeks making a new pattern for a paper mache wolf mask. I started it just before April Fool’s Day. I kept working on it during the Friday the 13th (and 14th and 15th) blizzard, and I just finished it yesterday – as usual, this wolf mask took a lot longer to design than I expected. I wanted realistic wolf shapes and easy assembly, and that was a real challenge. After six (or eight) prototypes, I finally got it to work the way I wanted it to. 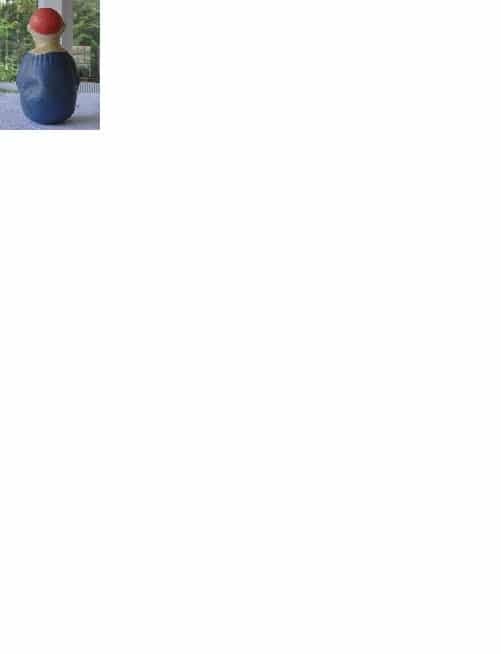 The pattern is available now on the page with the other sculpting patterns. But I like long to-do lists, so if you can think of a mask you’d like to see as a pattern, either to wear or to use as wall art, let me know in the comments below. If my list gets long enough it could keep me out of trouble all summer. I made three videos to go with this pattern, and you can watch them if you follow the link at the top of this post. There are a lot of different ways to paint a wolf (do a YouTube search for ‘how to paint a wolf‘ for ideas). The way I chose to paint mine is fast and easy – but I think it still turned out really nice. I used Liquitex Super Heavy Gesso to add fur texture before I started painting. I’ve never used it before, but now I think I’m in love with the stuff. It takes a long time to dry if you use it as thickly as I did, but I still think it was worth the wait. It’s flexible, which is important with a mask, and it holds some very nice details that I highlighted with a final glaze. The next post will be about a flexible armature idea that a few people have been asking about. After that, I’ll finish the paper mache lion pattern and work on the cow. Remember to let me know if you have any ideas for mask that you think I would have fun working on. 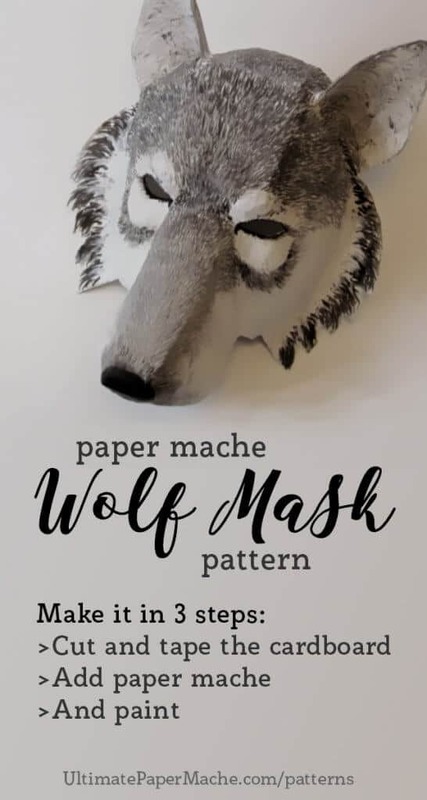 And now, go check out the new paper mache wolf mask here. Hi Trina. Comments don’t appear instantly on the page because I have to approve all of them by hand. This is a family-friendly site, and there’s always the vague chance that someone would post an ad or something that kids shouln’t see. I’m sorry for the delay. I’m not sure why your email didn’t go through – did you use my full email address, including my first name? Did you get an error message? Now, to answer your question. I don’t have any experience with repairing antique dolls. If it has any value you might want to make a few calls to your local antique dealers, or even a university art department or museum. As if they know of anyone locally who does that sort of repair. I wouldn’t want to make up an answer, because I could be wrong and it could cause damage to the doll. I gave it to my Mother for Mother’s day and she loved it! It’s beautiful, Ginger! I love the way it’s painted, and I can see why your mother would be thrilled. Thank you so much for showing it to us! Wonderful job. I’m sure your mom will treasure it. Thanks. 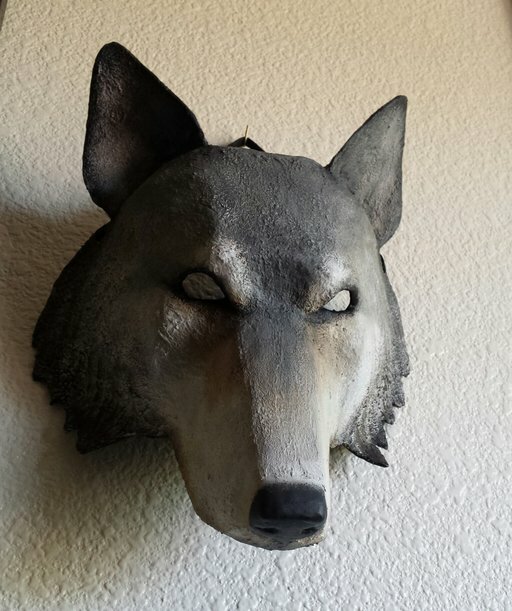 I really enjoyed making a wolf mask from your pattern. I’ve been in such a deep depression for a long time with no interest in working on any og my art. Thank you so much, this was just what I needed. I’ve started the jackrabbit. I don’t know where to post a pic of the mask. Thank you again! Hi Ginger. I’m so glad you enjoyed making your wolf mask. We would love to see it – right below the comment text box there’s a grey button that says “browse.” (Not very informative, I know!) If you click the button, it will let you select an image from your device. The image file size needs to be under 250 kb for it to work. If your camera saves large images, you can use this free online tool to make them smaller. Jonni, your mask turned out nice! It is a great idea to do all of the lion king masks, so many people turn to your blog to be able to do just that! If they can purchase the pattern they will have an easier time of it. You could sell them individual and give a price break for someone who wants them all, it’s a good marketing technique. Good luck, I guess we will be seeing a lot of masks this summer! That’s a good idea, Eileen. And yes, I do hope to make some more. For some of my masks I hope to loosen up the style – I have an evil bunny in mind, but we’ll see how that goes. By the way, did you get an answer about that sticky varnish problem? The wolf mask is wonderful! !